More and more first-time users of technology are experiencing the Internet, online services, digital communication, and some of the other privileges we take for granted, through smartphones. And unlike desktop PC users who are already aware of having a security suite installed on their Windows PC, smartphone users are largely unaware of the threats persisting online, and the fundamental need for security solutions for their smartphones or tablets. Through this short comparison, we try to bridge this knowledge gap. You just have to try googling for “smartphone malware” and the number of alarming news reports from respectable media sources and private security firms commenting on the rising trend of smartphone malware is evidence of the malaise gripping the smartphone industry. Every other week, reports of a new Android malware affecting hundreds of thousands (if not millions of) devices is commonplace. At stake is not only your sensitive data but other financial information, not to mention your personal identity, if you don’t take preventive steps to minimize risks and avert disaster. What choice do consumers have? Apart from inculcating safe browsing habits, you should install a mobile security app on your phone. We tested three of them in this comparison. What we found is apart from safeguarding us against unwanted malware or digital snoops trying to steal our private data stored on our mobile devices, these security apps offer a lot more. 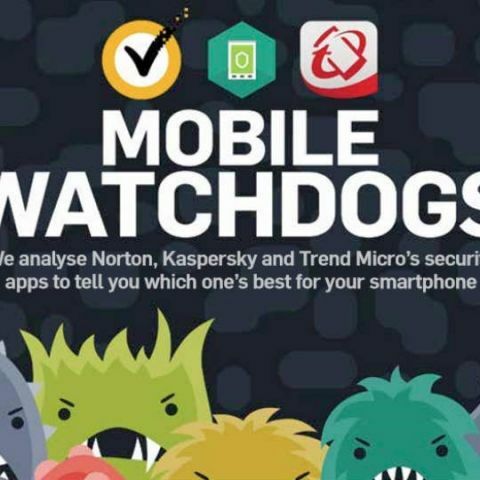 From optimizing your device to protecting your web browsing session, parental controls to saving your passwords in encrypted format, mobile security apps are getting more versatile to appeal to a vast swathe of consumers. Let’s see how they stack up. During our scans, Norton performed best by detecting almost everything we threw at it almost instantaneously. A full scan took about 25 seconds but seemed to scan only apk files even though the parameter was set to include SD card for scanning as well. During the tests for web protection, it detected the malicious website itself and blocked it which others failed to do so. Credits to the Norton community? Except for the first test on that website, it did block all the others. Parental controls can be added onto with installation of the Norton family app which in itself is really strong when it comes to protection and control. What disappointed us was that Norton even after clearing our web protection with maximum points, did not block spam banners and ads on the websites. During all this activity, it consumed about 160MB when running in the foreground and performing scans and around 50MB when running in the background. Quite light on resources we must say. In our comparison, Kaspersky was the only contender to offer options of Quick scan, Full scan and a Folder scan. In our tests, on an average, Kaspersky took 41 seconds to do a quick scan of all apps whereas a full scan took about 9 minutes and 30 seconds. It was quite thorough as far as client-side scanning was concerned. However, in spite of having various options, it failed to offer the ability to scan a single app. In our browsing test, quite surprisingly it failed to block any of the harmful websites and packages we downloaded which were marked malicious by other softwares in the comparison. On the whole, except for the scanning, we couldn’t see Kaspersky ‘Internet security’ performing what it was supposed to. It was quite thorough when it scanned for files and was also relatively low on RAM usage when the app ran in the foreground – which is especially good news, considering if you’re running this on a sub-10k smartphone. In the primary scans, by default the Trend Micro app scans just for malware or harmful or infected apps – nothing more, nothing less. You have to manually go to the settings and switch on scanning for the SD card so it scans all the files on your phone. By default an automatic full phone scan would have been better. In safe browsing test, it performed quite well blocking almost all malicious links but failed to trap the ad banners or pages that display spam popups. If parental controls are set well, it does block unsuitable websites that are suppose to be blocked – we did scratch our heads as to why this wasn’t enabled by default. During our testing, its RAM consumption udring full phone scanning was above 200MB every single time whereas once the app was stopped and just ran in the background, it was the app that consumed just about 20MB at any time. Quite a resource hog, we must say. Not desirable. Norton comes with a power packed security app that includes an App advisor that will give you warning about the apps that are installed on your device. It can also integrate with Google Play store where before installation it scans and gets data from the Norton community that gives information about the security issues and risks the app may carry while installation. It provides you protection from malware by scanning your phone which can be scheduled as well as provides complete web protection. Like all the others, Antitheft feature comes bundled with the pro version of the app. Further, it allows you to backup your contacts online and also block spam calls onto the device setting up a filter list. In stark contrast to its Android app, the app’s splash screen on iOS appears ancient, and features are also curtailed. Just two basic features along with Safe ID app that has a tight security with non-recoverable password protection. There’s a safe browser built in, too. With addition to the in-built anti-malware protection that is provided with every anti-virus (quite obviously!) 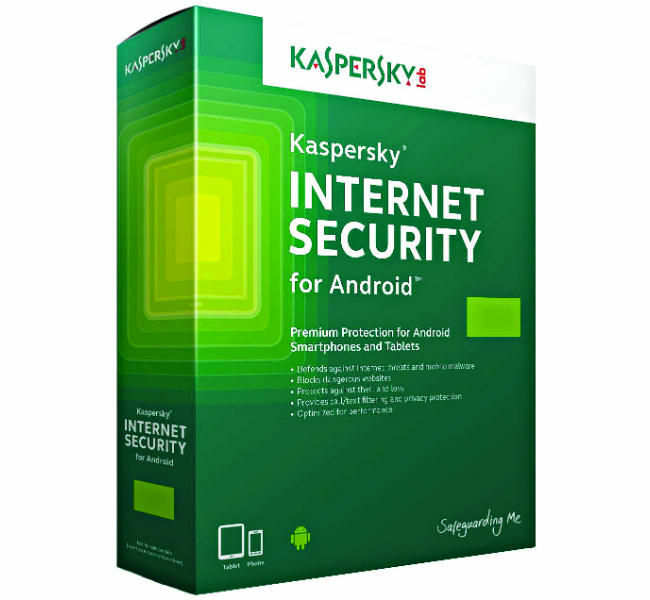 Kaspersky gives you web protection for safe browsing, Anti-theft features like locate, lock, make your phone ring, take mug shots from the front camera and wipe. In case your phone is not connected to internet, you can send a SMS from the app installed on another phone. While testing the Anti-theft features, the phone we used had a hardware alert slider. When the phone was made to scream, it could be muted from ringing if switched to no interruptions mode with the physical slider. Similar was the case with the lock feature. Kaspersky also adds an extra layer of protection and filters calls and text messages for you that may be spam. It also has the ability to hide selected contacts, logs, messages etc. What we particularly like here was that you can schedule scans and let it work accordingly without you have to do it manually every time. No app for iOS. 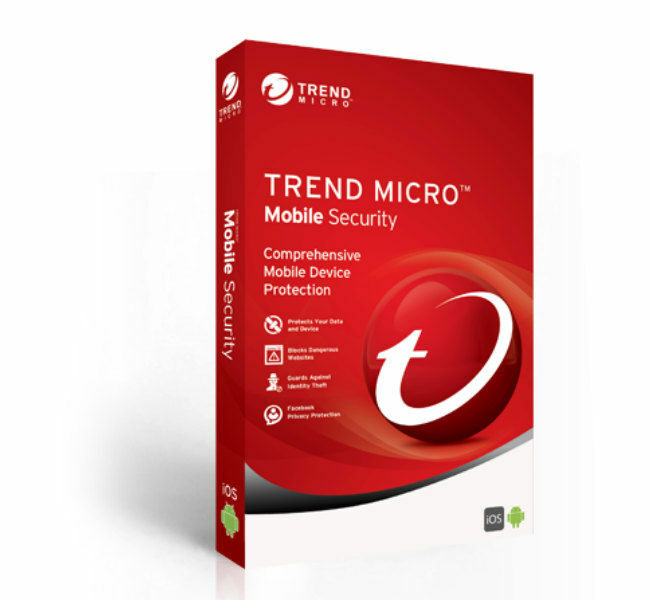 Trend Micro comes with a really powerful and feature loaded app that offers more than anyone else here. Along with really good anti-virus scanner for your phone, Trend Micro also promises to keep your browsing safe and block malicious content to provide complete security. It has a powerful parental control feature with a lot of versatility. The anti-theft features include options to lock, wipe, make your phone ring, locate and even make its location post on your Facebook. A very interesting feature that Trend Micro offers that made us say it wants to be a mile ahead in offering features is its system tuning options from the app itself. Trend Micro has system tuning features like an app manager, a battery optimizer with different modes like ‘just a phone’, ‘smart saver’, etc, and switches them on automatically when the battery is low. The iOS version had browser, direct access to FB and Twitter for anonymity, lost phone tracker, and data usage caps. Redesigning its layout from last year, it has a very clean and minimal look. The first screen shows the status, pulling that down will start a scan. Swiping to the left gives you the app security screen and swipe more to browse through screens of Web protection, System tuning features, license screen etc. During testing the Anti-theft features, it seemed to locate the phone quite accurately and the other options to send SMS commands, lock, wipe, take a sneak peak, ring etc. performed as configured, too. 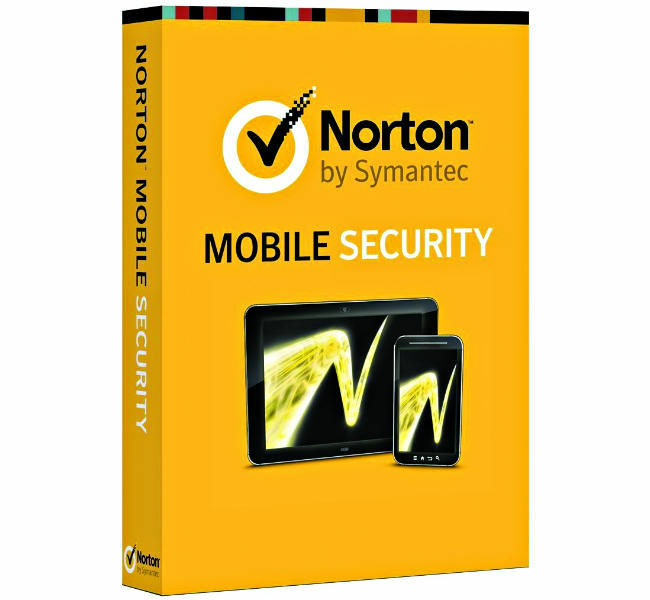 Similar to others, Norton can be given device administrator rights to prevent from uninstallation by anyone. Coming to its design, we really loved the interface, minimalistic but not losing out on shortcuts on the same time. It has the phone status indicator on top that takes up almost all the screen followed by just three mini icons providing options of scan, update and browser. But, when you pull up the menu it reveals more such options and settings for you like phone tracker, call filter, etc. The call and text filter was only supported for Android 4.4 or below. To safeguard against unauthorised use it offers unique features. Basic safe browsing and adblock ability need to be fixed as they didn’t seem to function very well. Home screen of this app is like a menu showcasing all the functionalities it has to offer. Most of the features either work in background and alert you only when they need attention. You may want to hide the notification icon from within the app as Trend Micro creates notifications just about anything and everything. The privacy scan results showed widely used apps like Instagram, Snapchat affecting my privacy issues. Something interesting that we came across while using this app is the feature to merge accounts and transfer licences across platforms and across different email ids. Very unique. All security apps to be tested are first examined for supported system requirements. We only tested out the mobile versions of the antiviruses. So for testing we selected the iPhone 4S running on iOS 9.1 and OnePlus 2 running on modified Android 5.1 Lollipop as the two comparison models. We then setup the required devices on which the antiviruses are to be tested, as per the company specifics on which the antivirus apps are downloaded and installed. We also installed any company released update and test the new fixes available. We conducted a whole series of real world tests on the devices to measure the impact of every aspect of the antiviruses on overall performance. These tests include scan time tracking by a stopwatch, battery & RAM consumption (both foreground and background monitoring) from internal resource monitors for 15 days. We conducted Wicar’s test, which is a Windows based test on the mobile devices for real-time protection testing. In this test we downloaded malware payloads to the devices to test if the antivirus blocks it or not. Results were carefully catalogued. The final performance score is the weighted sum of all the scores catalogued. Weights are assigned based on the perceived importance of every aspect of the app’s performance. The features present in each antivirus are tabulated and given weighted scores depending on perceived importance. For example, real-time protection and anti-theft features will be given more weightage over parental control, and so on. The scores for this parameter are largely subjective as they indicate our experience with the antivirus. Items such as ease of product activation, ease of web scanning, overall user interface look and feel, etc, are weighted and scored here. The final score that we arrive at is the sum of the performance, features, and design and usability scores with a 50%, 40% and 10% breakup respectively. The Best Buy antivirus is awarded to the device with the best price to performance ratio based on a predetermined formula. This is the ideal, value for money product in the test. The Best Performer Award is awarded to the device with the highest overall performance score. The Editor’s Pick award is awarded to the device that we feel has a lot of promise but misses out on the previous two awards narrowly. The Editor’s Pick award is slightly more subjective, we confess, as compared to the other two awards. We tested both Android and iOS version of the security apps. We couldn’t help but notice the limited app support as well as features on the iOS platform. In Android where there was option to select between deep scan and quick scan, iOS doesn’t even have a basic scan functionality. While the Android app suggested ways to optimise your mobile for maximum performance, iOS suffered from lack of a single integrated UI. For iOS even the activation of the apps made us scratch our heads in frustration, because the process couldn’t have been any more difficult. This all can be considered power of a fully optimized OS, which Apple is so confident won’t need any third party apps to optimize or the reluctance of developers to develop antiviruses for iOS. But breaking the Apple belief that they have it all, this comparison is an evidence that Apple’s platform is too restrictive. which is the best app to track your own mobile?